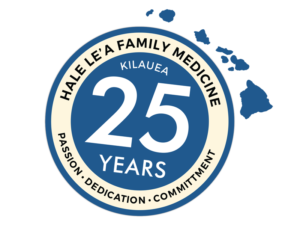 As a non-profit healthcare organization Hale Lea Medicine & Urgent Care is sustained by the support of its volunteers and generous gifts from its benefactors. Who needs help? It could be a child who has been injured, a woman who is pregnant, an elderly patient with pneumonia. Almost anything. How much is needed? It depends on how many people you want to help. $85 donation can pay for the care of one or two adults or children who are underinsured or uninsured. $500 can pay for six to ten community members who need medical help but cannot afford care. $120,000 can pay for all undercompensated and uncompensated medical care rendered by Hale Lea Medicine to our community members in a given year. Health is our most precious gift—ask anyone who has lived a day without it. Reliance upon the insurance industry to fund our healthcare needs has become a national catastrophe. On the north shore of Kauai, five out of seven primary care clinics have closed their doors since 2002. We knew something was wrong, and so the Kauai Community Health Alliance was born. At our own clinic, Hale Lea Medicine & Urgent Care, we waste time and resources fighting with insurance companies who always have the last say. Due to insurance carrier restrictions patients often get the cheapest, not necessarily best, medications, if they get them at all. It seems that now nearly everything requires pre-authorization and approval–medications, surgeries, bone density scans, you name it. Stories of unmet medical needs abound amongst our families, neighbors and friends. There has appeared a new opening, a clearing, in which there is the possibility for something incredible and transformative to happen in community medicine. The possibility for community healthcare to be redefined, reborn and renewed has arrived. In addition, insurers will not pay for Integrative and Preventive Medicine services. Despite lower toxicity and improved outcomes, Complimentary and Integrative Medicine remains unaffordable and unavailable to most of our community. Frustrations mounted. Disillusion followed. Our local insurance companies turned a blind eye while giving millions of dollars in bonuses to their executives. Our letters to insurers and the insurance commissioner were returned with politically correct answers empty of solutions. Like many, our busy community clinic was finding it more and more difficult to provide the kind of high quality integrated medical care that was needed. We therefore decided to take financial matters into our own hands— entrusting it into the hands of the community it serves. The clinic is now owned by Kauai Community Health Alliance, a not-for-profit corporation run by a community board. In this way the community itself can directly contribute, each according to their means and ability, and create healthcare the way we all dream it should be. This is the most common and easiest form of giving. Your contribution is tax-deductible and can be made by check or credit card. We encourage you to make your contribution online. If you contribute stock or other appreciated securities to Kauai Community Health Alliance, you will be entitled to a tax deduction for the full market value* of the stock or securities and do not have to pay capital gains tax*. This type of gift is particularly attractive if the stock or securities are not yielding annual income and would be subject to capital gains tax if sold directly in the market. For more information, please contact James Winkler at winkler@kauai-medical.org or 808.828.2885. Gifts to KCHA are an excellent way to honor or memorialize a family member, friend or colleague. Please use the contribution form to make your tribute gift online or by mail. Did you know that many employers will match your gift to KCHA? Just check with your company’s Human Resources Department to find out if your gift will go twice as far. Depending upon your personal goals, a planned gift to the Foundation can address a number of financial planning matters. Whether you are interested in saving taxes, preserving your wealth, transferring assets, or creating a life income stream, a planned gift can produce attractive financial benefits to you and your family. Kauai Community Health Alliance is organized and operated exclusively in furtherance of the charitable purpose of promoting the health of our community as permitted under section 501(c)3 of the Internal Revenue Code. KCHA is governed by a community board. Surplus funds shall be used for additional services or facilities. All of its assets shall be permanently dedicated to exempt purposes.